DOOM, the latest entry of the series developed by id Software, is finally available in all regions, and players all over the world can finally enjoy the exciting experience of the new first person shooter. In the past few days, we have seen how good the game can look on PC, and it seems like things will be getting even better in the near future. Earlier today, id Software Lead Rendered Programmer Tiago Sousa has confirmed on Twitter that SLI support is coming to the game. One user noted that the game already runs a lot better with SLI enabled, but Tiago Sousa confirmed that things are going to get better, as there’s currently an issue with shadows limiting SLI scaling. Tiago Sousa has also shared a useful tip for those running DOOM at 4K resolution. According to the developer, it’s a bit of GPU waste to process all those pixels, and by adjusting the resolution scaling slider in the Advenced Menu, players can get some performance improvements. Additionally, Tiago Sousa has confirmed, once again, that work is proceeding on the DOOM Vulkan support. We still don’t know precisely when it will be implemented, but we will surely learn more about it in the next few days. 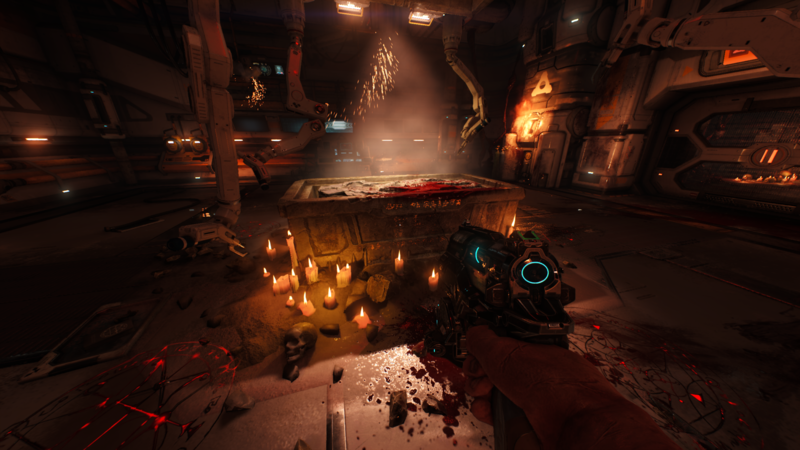 Yesterday, a beautiful DOOM video has been shared online, showing how the game runs with new new Vulkan API, which improves the already excellent performance of the game. As already mentioned, the game currently doesn’t support it, but the team is working to implement it in the future. DOOM is now available in all regions on PC, PlayStation 4 and Xbox One. We will keep you updated on the game as soon as more comes in on it, so stay tuned for all the latest news.